Electronic controller 8NSC is designed to control piezo positioners of 8NTS series. 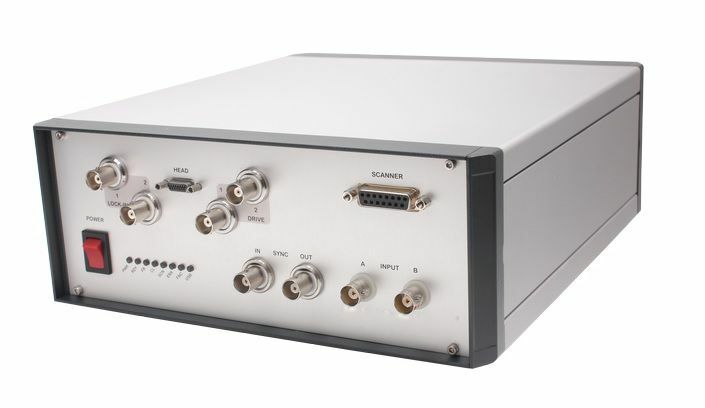 8NSC-3061 SPM controller contains 2-channel lock-in amplifier to provide resonant SPM techniques, for example non-contact SPM mode. 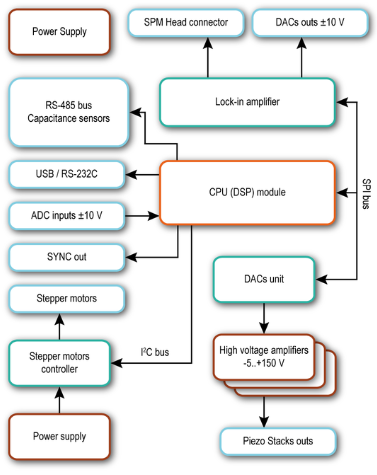 Lock in amplifier includes high stable voltage generator based on digital frequency synthesizer. 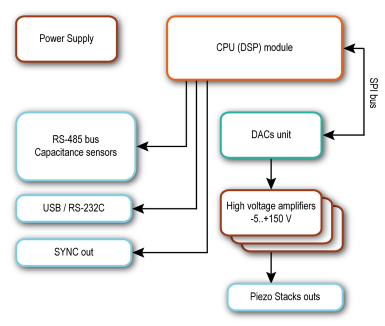 High speed data processing is implemented using programmable logic (FPGA). 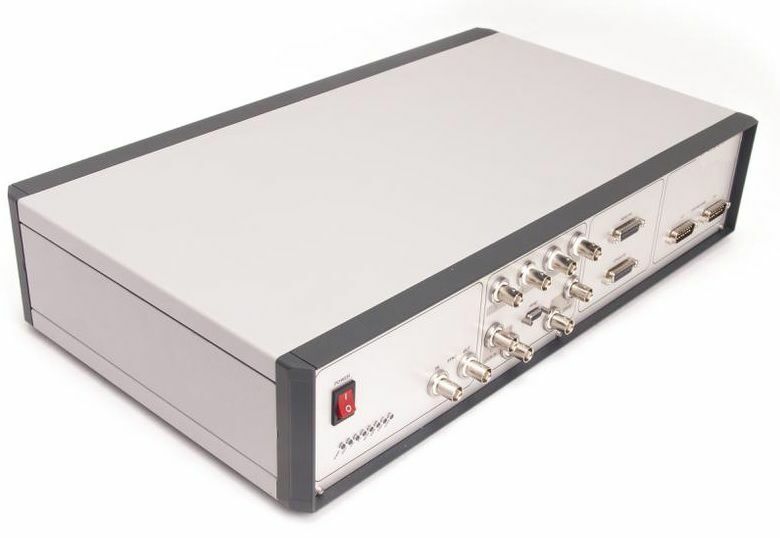 This allows to perform high quality lock-in detection up to 1.5 MHz band. 8NSC-3061 can control 9 piezo stages and up to 4 stepper motor translation stages with micro step option, for instance, for rough adjustment of scanning head (stage). Whereas 8NSC-1000 is able to control 3 piezo stages. Basic Nspec software, SDK for Windows, Linux, Mac OS, Android for Tablet PC.